Having experimented with abstraction during the late 1960’s, Albert Wein returned to classical form and content in the 1970’s with works such as Footbath. At this point Wein had come to believe that the symmetry and idealization of classical art were capable of expressing the machinations of the human mind. 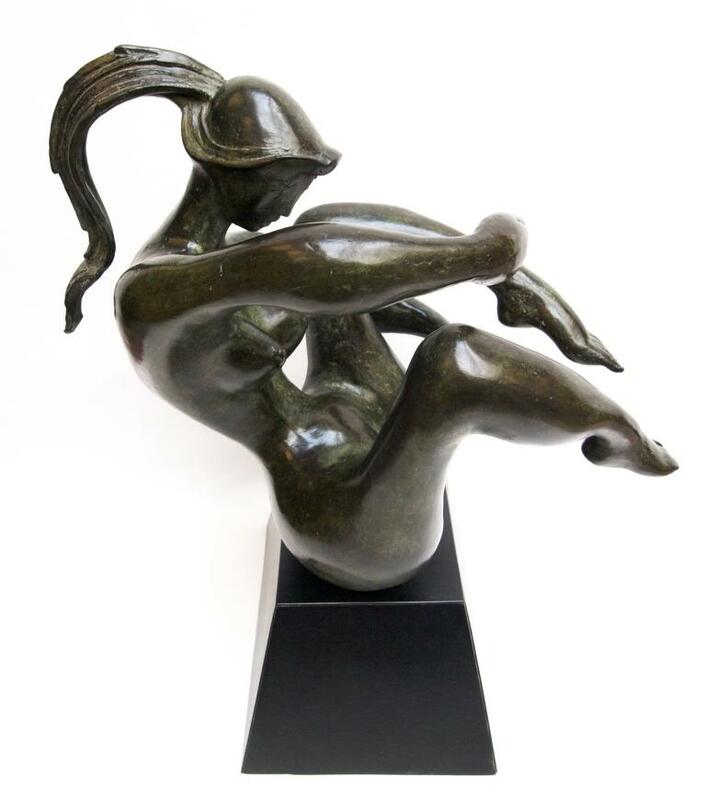 According to his wife Deyna Wein was always “searching” and exploring different aspects of sculpture. Through it all, however, he never abandoned his “sense of humanity”. This sculpture perhaps represents his sensitivity and humanity – ultimately what he was always searching for.